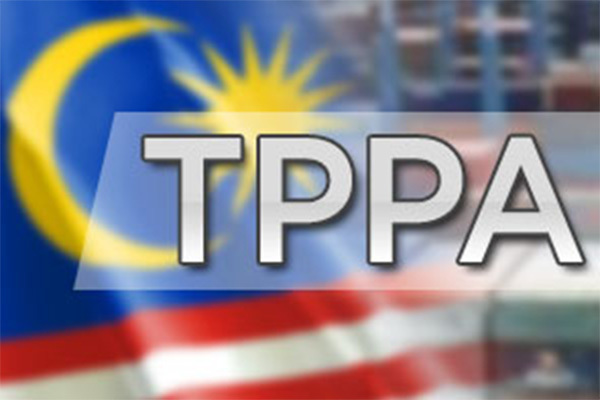 Newspapers in Malaysia had it reported sometime in November 2016 that Malaysia will continue amending its laws including intellectual property (IP) laws despite the uncertainty of TPPA AND with Donald Trump saying “No TPPA!!!”. I am no expert in other areas of the TPPA and as such, if these laws in these areas in Malaysia are going to be amended pursuant to TPPA, I have no comments. However, if the laws relating to IP in Malaysia are PATENTS going to be amended pursuant to TPPA, I surely have loads of comments to make and also call upon the relevant interested groups in Malaysia to look into these proposed amendments relating to patents, trade marks, geographical indications and copyright. Why does the public need to know what is communicated between the IP Office and the Applicant? In any application made to authorities, such as application for any licences, application for obtaining marketing approval etc., once approval is given, only relevant details are published. But why do you need to publish communications between the IP Office and the Applicant which should rightfully be privileged documents? If I am an inventor, I would not want my correspondences to be published ans as a public, these information are not relevant to me. Why do you need to give extension of patents when there is no curtailment of the patent? It is well understood in situations where marketing approvals are delayed, hence causing curtailment of patents. But why give extension, when there’s no curtailment? As a public, I would not want patents being extended unnecessarily. Geographical indications (GI) and trade marks (TM) are 2 different categories of IP. They stand on their own and should not be intertwined. Any IP person would know this. As a public, I would want these protections to be separate as they serve separate purpose. GI is an indication of the origin of the product whereas TM is an indication of to who the product belongs to. I do not want to to be confused on these two different IP. Malaysians are mostly USERS of copyright. So why are we granting an extension of copyright when the current 50 years is advantageous to us? As a public, I would not want this to be extended. Copyright and related rights owners in Malaysia should be happy with 50 years after death protection, for the time being, which is a very acceptable period of protection. For future negotiations, the Government of Malaysia should rope in REAL IP experts with knowledge AND experience in IP and not merely getting some people ‘associated’ with others with general IP background, to conduct negotiations. These are my very brief views, objecting on certain amendments to the relevant IP Legislation in Malaysia pursuant to TPPA which may take place, if yours (if you agree with me) and my views are not brought to the public’s attention. 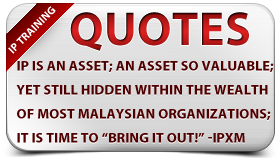 It is of no use to question at this point of time, who were the negotiators who negotiated such terms for Malaysia and if, they actually had IP knowledge….However, it is of utmost important now, that the above issues are not put in place in the relevant IP laws, in public interest. Please feel free to share your views and comments with me. I will be writing a full article on this shortly and hope to share with the readers once it is completed.